The Golden Circle tour is the most popular day tour in Iceland. The main attractions are Thingvellir, Geysir and Gullfoss. We highly recommend people include an extra activity on the golden circle as areas for caving and majestic glaciers for hiking or snowmobiling can be found on the route. You will also find one of the purest rivers in the world, Silfra, where you can go diving or snorkeling. 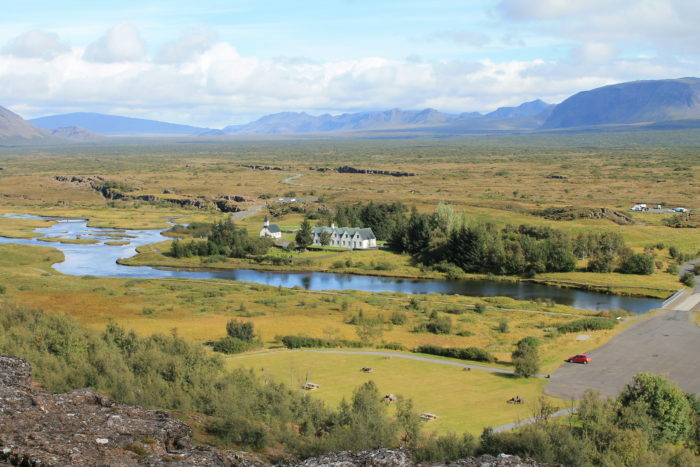 The Golden circle tour starts at Thingvellir National Park. Thingvellir is where the American and Eurasian tectonic plates are pulling each other apart. Thingvellir national park is also the location of the worlds oldest parliament, Althingi. Then you move on to the stunning Geyser geothermal area. 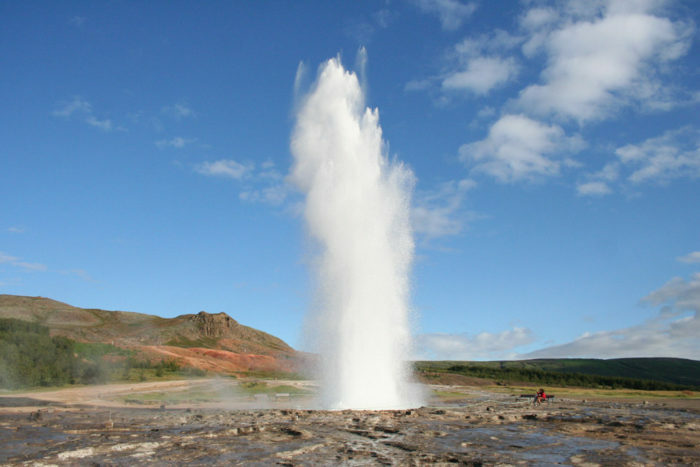 The largest geyser, Geysir, has been inactive for sometime but the second largest geyser is still very active. Strokkur shoots a column of water up to 30 meters in the air every 5 – 7 minutes in a display where you can lay you eyes upon natures spectacular forces. The Golden Circle tour then moves on to Gullfoss (Golden waterfall). This majestic waterfall from the glacier river Hvítá. The 32 meters high waterfall creates, together with its surroundings, a natural work of art you have to see to believe.